The world’s rarest ape has an increased chance of survival after a team led by international conservation charity the Zoological Society of London (ZSL) found a new family group of Hainan gibbons (Nomascus hainanus). Until last month, it was thought that there were just 25 Hainan gibbons living in three social groups on an island off the Chinese mainland. The discovery of this fourth breeding group increases reproductive potential of the population, which could be vital for the long term survival of the Critically Endangered gibbons. 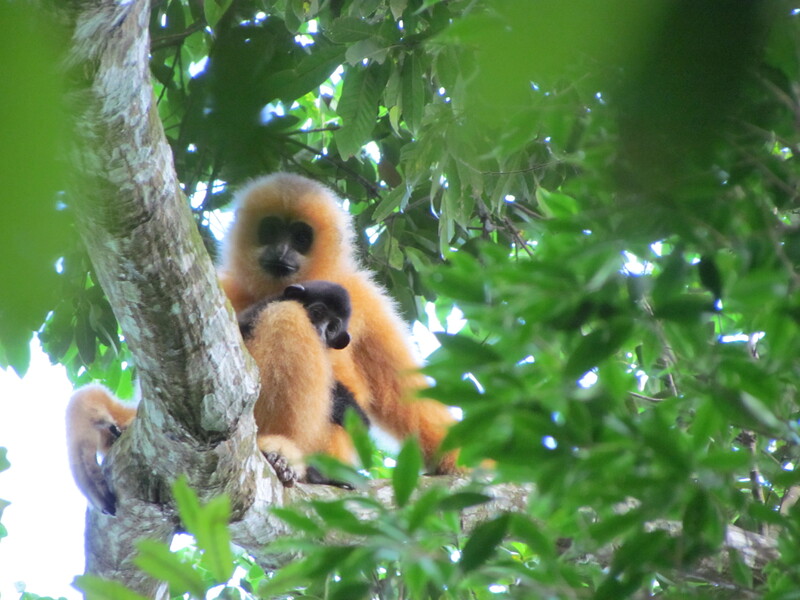 Numbering around 2,000 individuals in the 1950s, the Hainan gibbon (Nomascus hainanus) underwent a severe decline in the late 20th century due to habitat loss and hunting, and is now one of the most threatened species in the world. 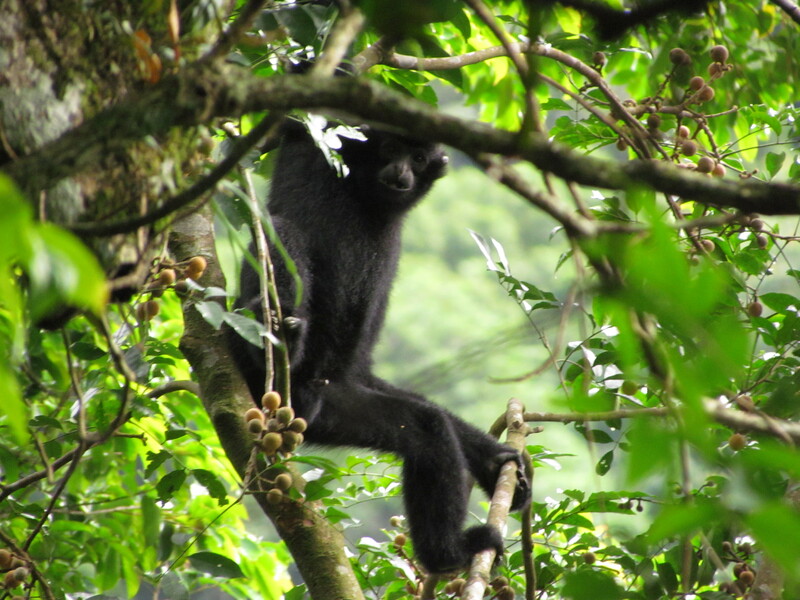 Listed as Critically Endangered on the IUCN Red List, a population of just 28 Hainan gibbons remain. ZSL is helping to develop a more secure future for the species; our work aims to help ensure the continued effective protection of gibbon habitat and enhanced forest connectivity, while utilising optimal monitoring methods in order to understand gibbon habitat requirements and dispersal; in addition to encouraging new gibbon group formation and expansion into good-quality habitat across the wider Bawangling landscape. The above article is reprinted from materials provided by ZSL.